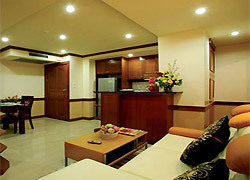 We provide various room configurations of 1-2-3 bedrooms ranging from 30-150 Sq. meters, meticulously planned with tasteful interior and graceful decor appealing to everyone. Our deluxe rooms offer you added-value with its luxurious wooden furniture, bedroom parquet floor and fully equipped kitchen. Varindavan Park New Service Apartment Ekkamai 12, Quiet, Private, and Good Location. For the pleasure of our tenants, The Varindavan offers separate swimming pool for adults and children, building entrance and left operation through key card system, a sauna, fitness, security and maintenance 24 hours, a recreational area and cleaning service for the whole building. The parking garage provides space for more than 80 cars. Breakfast and room cleaning provided on request. Accommodation for yearly, monthly, weekly and daily basis available on your request. 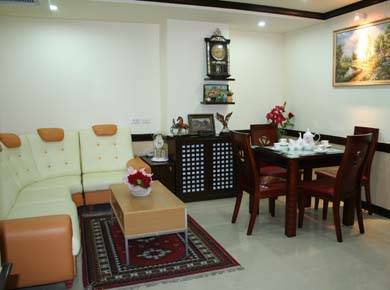 Varindavan Park is ideally located on Ekkmai Soi 12 in the heart of Sukhumvit area with excellent access to main thoroughfares, expressways sky train (BTS), and Ekamai bus station convenient link to Pattaya by modern buses. 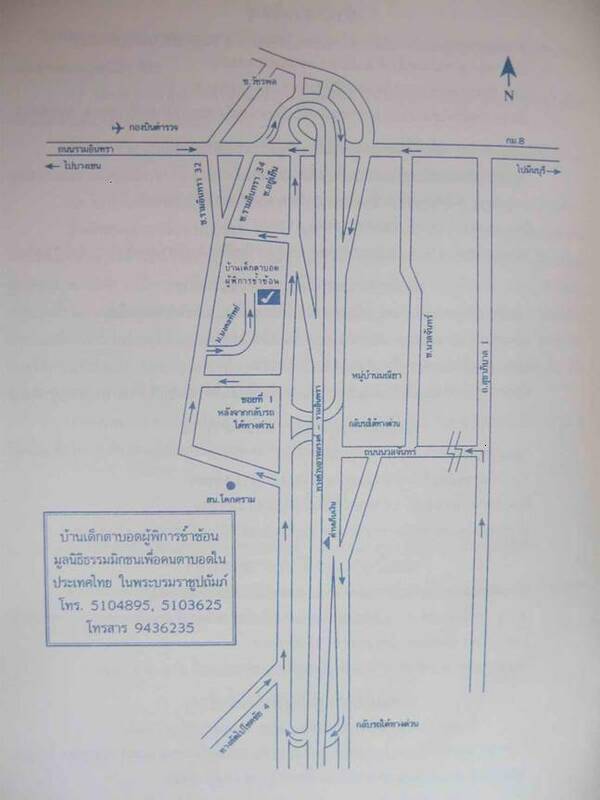 The motorway nearby is in close proximity and makes it a shot drive to Suvanabhumi Airport. Just a few minutes away department stores, restaurants and bustling night life exist abundantly. 3 minutes away from Thonglor, Bangkok's newest expatriate hub for entertainment and fine International cuisine. 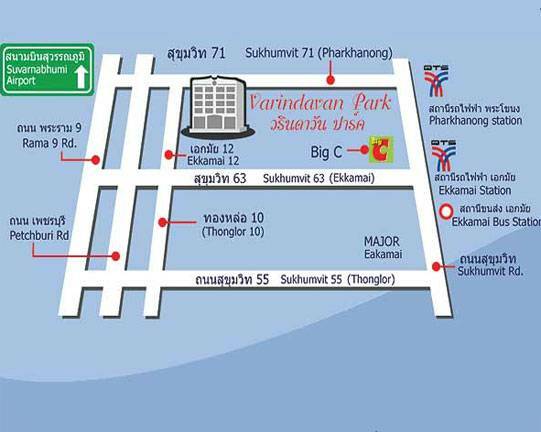 Varindavan Park is ideally located on Ekkmai Soi 12 in the heart of Sukhumvit area with excellent access to main thoroughfares, expressways and sky train (BTS), The motorway nearby is in close proximity and makes it a short drive to Suvanabhumi Airport. Just a few minutes away department stores, restaurants and bustling night life exist abundantly. 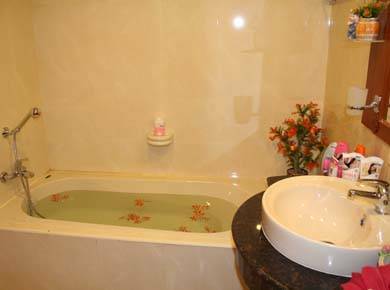 Tenants will enjoy the facilities of separate swimming pools for adults and children (Jacuzzi included in children’s pool). Sauna and exercise rooms will relieve your stress and relax your body, Bask in the Sun or refresh yourself in our spectular pools. Fully equipped kitchenKick back, relax every part of your body. Let the soothing Steam wash the tension away. Tune your body and enjoy the workout. Our center is equipped with all types of exercise instruments. Highlight your day with a dip in our sparkling emerald swimming pools. In the midst of Resort environment. At Varindavan Park every detail is carefully orchestrated to create a cozy, warm feeling and clean look to every room. To ensure utmost security, access to the common area and lift are through the key card. CCTV monitor Round-the-clock security service. Heat sensors are installed in every unit with a fire extinguisher and water hose available on every floor. At Varindavan Park every detail is carefully orchestrated to create a cozy, warm feeling and clean look to every room. 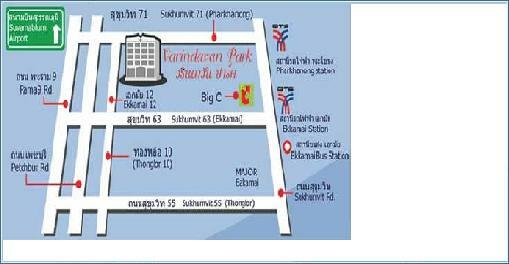 Varindavan Park New Service Apartment Ekkamai 12, Quiet, Private, and Good Location. For the pleasure of our tenants, The Varindavan offers separate swimming pool for adults and children, building entrance and left operation through key card system, a sauna, fitness, security and maintenance 24 hours, a recreational area and cleaning service for the whole building. The parking garage provides space for more than 80 cars. Breakfast and room cleaning provided on request. Accommodation for yearly, monthly, weekly and daily basis available on your request. Payment by cash or credit card. Cancellation must be 3 days before booked date otherwise charge for 1st night to stay.